for $4,900,000. The lot size is 80 x 150. Extraordinary oceanfront lot available and ready to build! Full approvals from the Planning Board have been obtained and the property is ready for you to build your dream house on one the only 80'x150' vacant oceanfront lots available in prestigious Spring Lake. 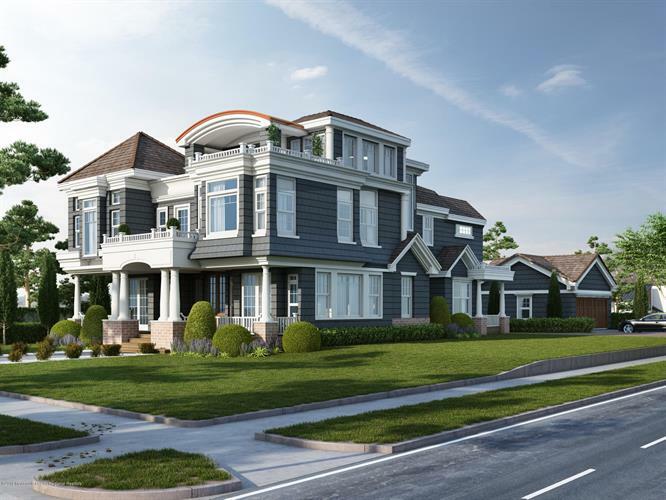 Clockworks Homes, one of the area's premier builders, has plans completed for this Master Piece beach home. The builder's rendering depicts the proposed home to be built featuring 6/7 bedrooms, 7 baths and a full basement. Enjoy oceanfront living with a pool and elevator too! Ideally located directly across from beach access, close to the lake and town! This listing pertains to the land and approved plans only.